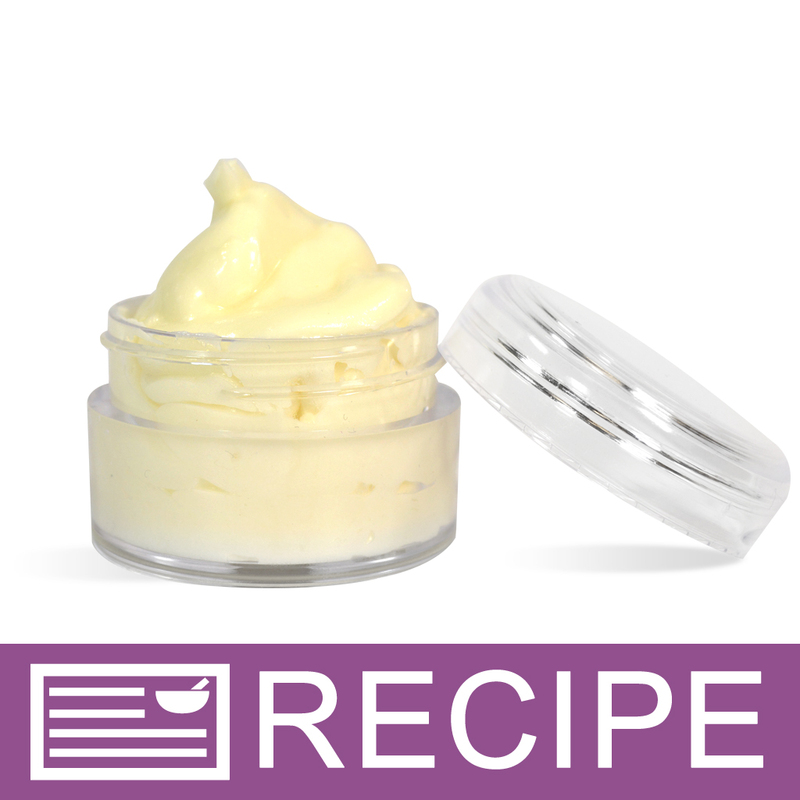 This lip butter will glide over your lips and leave them feeling moisturized and quench dry, chapped lips. Use any time of the year to pamper the sensitive lip area. The finished product is a hard lip butter consistency. You Save $7.25 by purchasing this kit rather than buying the items separately. Shea Butter, Palm Butter, Castor Oil, Coconut Oil, Sugar, Fragrance, Vitamin E, Fluorphlogopite, Titanium Dioxide, Tin Oxide. View the Vanilla Mint Lip Icing Recipe for detailed instructions. COMMENTS: I've been wanting to get into lip balms for sometime now and I thought this kit would be perfect to start with. It didn't let me down at all. It was very easy to make, it made exactly the amount it said it would and it's a really good product. I will certainly be buying it again. COMMENTS: I loved this kit - but I am also the kind of person that likes to have a more hands on approach at making things from scratch! The only thing I did not like about this kit, the jars it comes with to package the Lip Icing, I ended up piping the product into the jars. Licking it off of the lips is inevitable, it's yummy. "Could you add sugar to this to make it a sugar lip scrub? If so how much eoud you recommend? Thanks!" Staff Answer Yes, you can add additional sugar to this recipe. We recommend adding 1/4 cup at a time until the desired consistency is reached. "I scrolled through this recipe and noticed this: "Warning: When inhaled this product contains chemicals known to the State of California to cause cancer and birth defects or reproductive harm. Once the powder is incorporated into a liquid or solid base it can no longer be inhaled and therefore falls off the warning list." Which ingredients within this recipe is this warning clause pertaining to?" Staff Answer It pertains to the Highlight Gold Mica Powder used in the recipe. "Is this able to be put in a tube or must in be in a jar?" Staff Answer This product is best put into a jar. It does not contain beeswax or any other wax to keep it solid in a tube.